Wonderbrass launch their new album Blown Away with a gig at 10 Feet Tall, Church Street, Cardiff city centre on Tuesday 5 April. Doors open 8pm till late - admission £6 or £4 concessions. Pay £10 and you'll also get a copy of the CD. See www.wonderbrass.org.uk for more about the band. Jazz Jamaica's Jason Yarde comes to Cardiff Bay on Thursday 31 March 2011 for a live jazz and poetry show with the Spoken Word All Stars. The free show at the Pierhead building features Kat Francois, OneNess, El Crisis, Chris Redmond, and homegrown special guest artist Peter Finch. 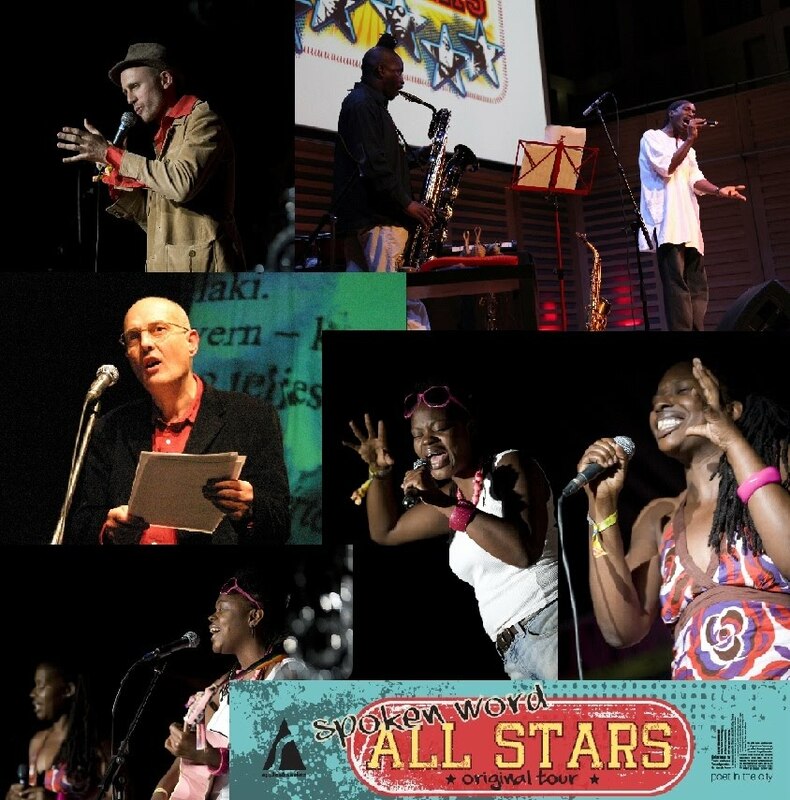 Spoken Word All Stars’ journey began at Latitude Festival 2010, and is featured on TV as a documentary by Sky Arts. Their spectacular live show weaves comedy, tragedy, romance and philosophy; spoken word interwoven with live and improvised loops, beats and melodies. The show is produced by charity Poet in the City, with support from Apples & Snakes and Arts Council England. Early booking advised - email spokenwordallstars @ live.co.uk or call 07908 367488. The Bay Divas celebrate the centenary of International Women's Day with a concert at the Wales Millennium Centre in Cardiff Bay on Sunday 13 March 2011. The trio - Patti Flynn, Humie Webbe and Jacky Webbe - will perform jazz, blues and gospel with the Bayside Quartet in the venue's Weston Studio. The concert starts at 8pm and tickets cost £12. Rhys Phillips offers classic tracks, hot new tunes and interviews in his weekly Jazz Special on Radio Cardiff. And don't forget Humie Webbe with the Jazz Train every Sunday at 10am.